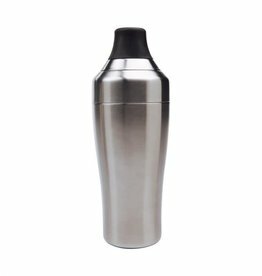 Be prepared for any party, inside or out, with this insulated Ice Bucket. 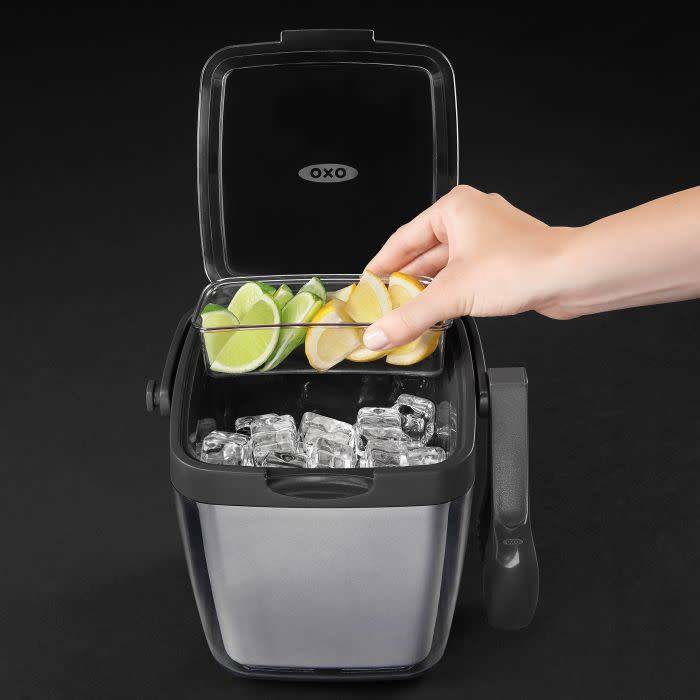 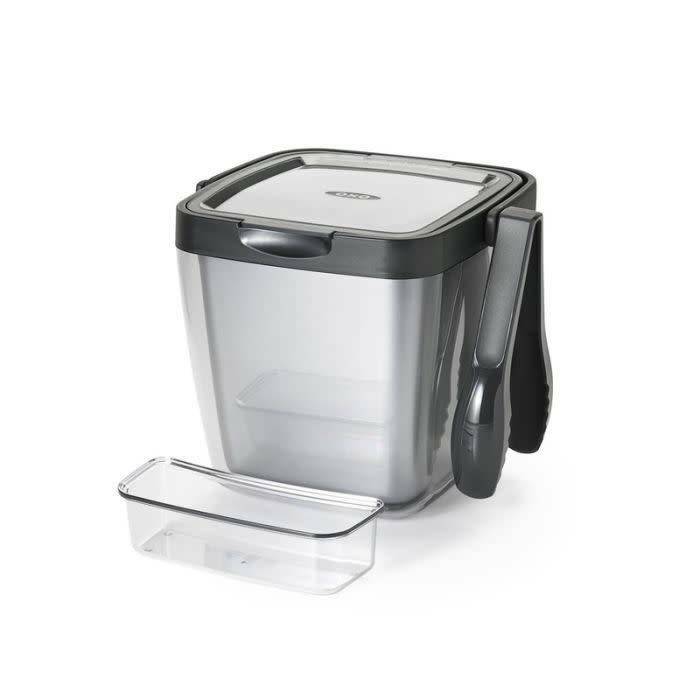 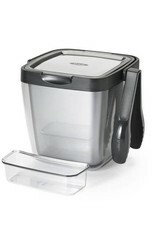 Includes nylon tongs that hang conveniently from either side and a removable tray that holds drink garnishes. 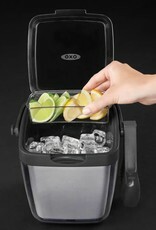 The carrying handle stays out of the way when not in use and the meltwater reservoir keeps meltwater away from cubes.